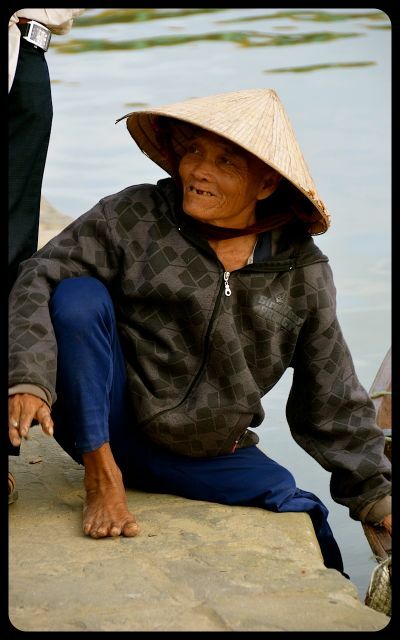 We spent several relaxing hours walking and dining along Hoi An’s riverside. At midday, some locals made meals on weathered, wooden boats. 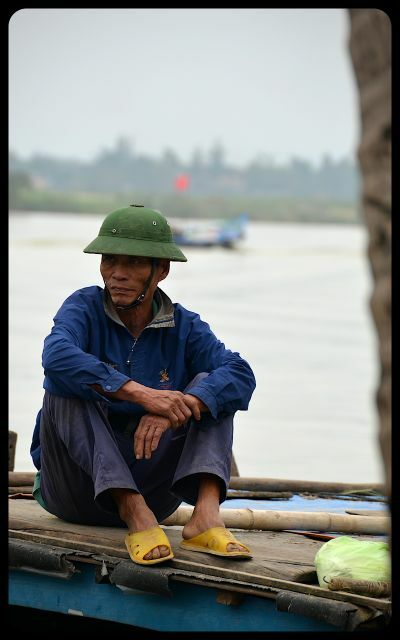 On the other side of the the Thu Bon River, colorful vessels sat tethered, patiently awaiting passengers. Ladies wearing nón lá hats gossiped about the day’s happenings. Amazing captures of their emotions! And what an amazing country. Make sure you check out Sapa in the North!! Umirza, that’s something I enjoy very much about street photography – it presents many opportunities for the photographer to capture candid emotion. Oh, how I’ve longed to go to Sapa! Both times I’ve been to Vietnam, though, it’s been winter, and I’ve been utterly unprepared for the chilly weather. How long did you stay there? I was only in Sapa for a few days but was taken aback by the rural beauty of the place. The weather was amazing for the first couple of days but then we woke up literally in a storm cloud so decided to skip town for Lao! 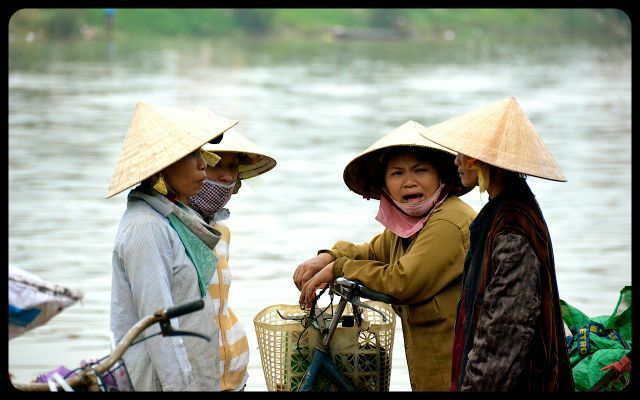 Im looking to go back to Vietnam in January and Hoi An in on my list!! Anywhere else you’d recommend? Great that you’re soon Vietnam-bound! I’m sure you have Ha Long Bay, Hanoi and Ho Chi Minh City on your list, but I’d also highly recommend Hué for the imperial city and tombs, and Mui Ne for the sand sledding and laid-back beaches. The north can get really chilly in Jan, so make sure you have layers! (You probably remember that from Sapa.) And, see if you can try to time your visit with Tet (the Vietnamese New Year). That’s great fun to watch the people prepping for the celebrations and then participating in them! Brilliant recommendation and a fantastic blog. I also am very interested in your participate page and will be looking up some of them while in the area!!! That’s the magic of being in any new place, isn’t it — the adventures that await! Some of the fondest memories from our trip were spent out on the water – snorkeling (for my first time), and taking boat trips on the waters of Vietnam and India. 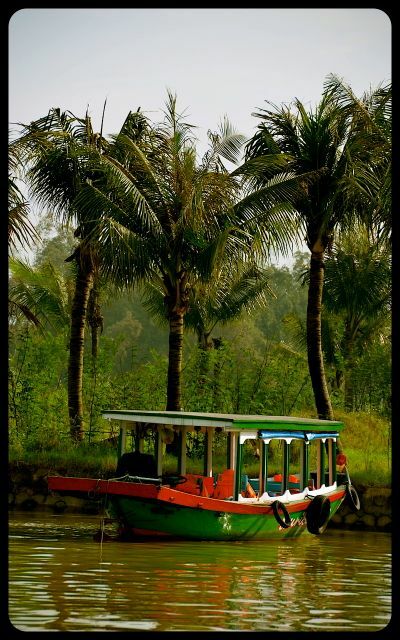 From an outside perspective, it seems so relaxing to commute by boat. I hope your week is going well, Virginia! Thank you as always. Your post evokes such a calm Tricia! Lovely photos – I especially like the 2nd last one. Neat post Tricia. Love the last shot! Madhu, thank you! 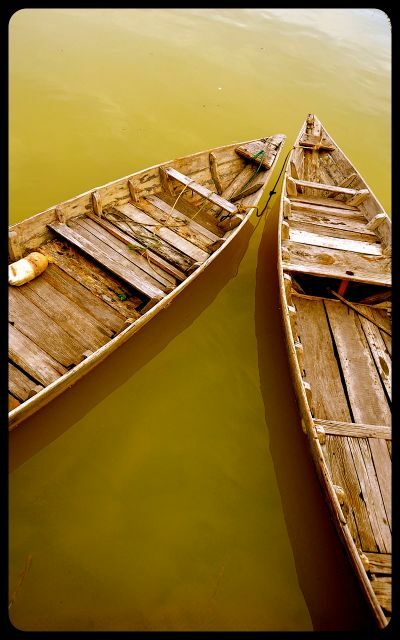 I really appreciated the texture in that scene – the weathered, wooden boats, and the glassy, smooth water. Many thanks, Mark. Vietnam is a very photogenic country. :) Safe travels to you & happy snapping! What a great essay! It really gives you the vibe of life on the river. That’s what I hoped to convey, Victor – so many thanks! All the best to you and your family for a wonderful weekend. Gorgeous photographs – we spent a month in Vietnam over Christmas and I think you’ve captured some of its essence beautifully. David, what a great compliment from someone who’s also visited there! What spots did you visit? We were in dire need of a do nothing beach holiday, so I’m ashamed to say that we spent a disproportionate amount of time down in the South lying on the beach on Phu Quoc drinking Expresso Martinis! So not exactly culture vultures on this particular trip, although we also did quite a long trip up the Mekong Delta on our way back to Saigon and the few obligatory days dodging motorbikes in the city! Next time round I think it would have to be a trip down the other way from Hanoi. And you? Sounds like you had some much-needed time de-stressing there! We contemplated having beach time in Vietnam too, but in the end decided to do so in the Philippines later in our trip. Like you, we also did a day trip on the Mekong Delta, the historical war sites (Cu Chi Tunnels and Museum) and the main cities along the coast, going north from Saigon: Mui Ne dunes sand sledding, Da Lat (they compare it to the Alps, because of the cooler temps and flowers grown there), Hué’s imperial city and tombs, plus Hoi An. On an earlier trip, I was really impressed by Ha Long Bay and the hustle and bustle of Hanoi during Tet (the New Year). Someday I hope to make it back to see Sapa. The culture there looks amazing! Hope you’re having a great weekend, David!